Tired of being blinded by drivers behind you at night? Wish you could get rid of that clunky garage door remote from your sun visor and open your garage door or activate other Homelink devices using buttons on your rear-view mirror? Now you can with this easy, DIY kit for your 2016 Prius. 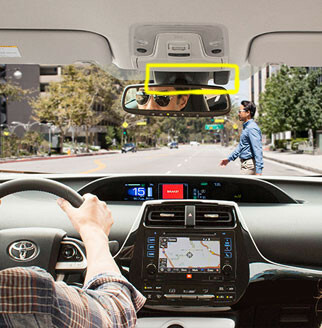 Fits all 2016 Prius models WITHOUT TSS Safety Equipment behind mirror (black box).